Almost nine out of 10 UK businesses would be unwilling to replace company cars with another form of transport, according to new research. 29% of respondents were open to car sharing, while 42% were interested in ride sharing. The research from the 2017 edition of Arval’s Corporate Vehicle Observatory Barometer found only 11% of fleets would “certainly” or “probably” be ready to withdraw cars – opting instead for alternatives including ride sharing, car sharing, or a mobility budget or card. The research, which covered 3,847 fleets, found fleets of all sizes remain wedded to the company car. Only 13% of larger fleets (more than 50 vehicles) would even consider giving them up, alongside 13% of medium fleets (10-49 vehicles) and 10% of smaller fleets (1-9 vehicles). The analysis comes as latest HMRC figures on Benefit-in-Kind find the number of employees taking up company cars has shown increases in recent years – up from around 940,000 in 2012-13 and 2013-14 to 950,000 in 2014-15 and a provisional figure of 960,000 for 2015-16. However, the Arval research found businesses do remain open to trying other transport options as a part of the fleet mix, with 52% willing to consider alternatives in the next three years or already had one in place. These included car sharing (29% of fleets), ride sharing (42%) and a mobility budget or card (19%). 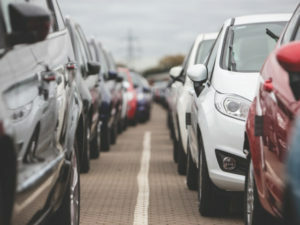 Shaun Sadlier, head of Arval’s Corporate Vehicle Observatory in the UK, said: “These figures show just how much the company car is ingrained into UK business activity, with the vast majority of businesses either unable to identify, or not looking to implement, a viable alternative right now.